In Madhya Pradesh, 'Mil Banche’ programme will be held in government schools on 18.02.2017. AIR correspondent reports that Chief Minister Shivraj Singh Chouhan, public representatives and other dignitaries will go to schools to motivate children under the programme. Educational dialogue will take place with students after this exercise. More than 1 lakh 50 thousand people have got registered for 'Mil Banche Madhya Pradesh' programme. Chief Minister Shivraj Singh Chouhan will go to a school in Bhopal where he had studied during his childhood. The registered persons will motivate children in primary and middle schools to read other interesting books along with textbooks. These persons will read out a portion of Hindi book of their choice on 18.02.2017. 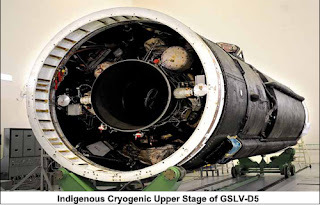 ISRO successfully tests its indigenously developed "Cryogenic Upper Stage engine for GSLV Mark III Rocket"
Indian Space Research Organisation (ISRO) has successfully ground tested its indigenously developed Cryogenic Upper Stage engine for GSLV Mark III at its Liquid Propulsion Complex at Mahendragiri in Tirunelveli district of Tamil Nadu on 17.02.2017. ISRO Chairman AS Kiran Kumar said the full duration flight test of cryogenic upper stage for GSLV Mark III was successful. He said yesterday's test was last in the series before going for an actual rocket launch. The engine will be put into use in April. The C25 stage is the most powerful upper stage developed by ISRO and uses Liquid Oxygen and Liquid Hydrogen propellant combination. The development of C25 cryogenic stage will provide ISRO capability to launch four ton class satellites in Geosynchronous Transfer Orbit. The Geosynchronous Satellite Launch Vehicle Mark III: also referred to as the Launch Vehicle Mark 3, LVM3 or GSLV-III)is a launch vehicle developed by the Indian Space Research Organisation (ISRO). It is intended to launch satellites into geostationary orbit and as a launcher for an Indian crew vehicle. The GSLV-III features an Indian cryogenic third stage and a higher payload capacity than the current GSLV. With successful launch, the total number of customer satellites from abroad launched by India’s workhorse launch vehicle PSLV has reached 180. PSLV-C37 also carried two ISRO Nano Satellites – INS-1A and INS-1B. ISRO Nano Satellite (INS) is a versatile and modular Nano satellite bus system envisioned for future science and experimental payloads. The INS system is developed as a co-passenger satellite to accompany bigger satellites on PSLV. Indian Navy Concludes "First Contract Under Buy and Make (Indian) Category"
A contract between Nova Integrated Systems Ltd and Indian Navy for procurement of Surface Surveillance Radars (SSR) has been concluded on 18.02.2017. First contract concluded under the Buy and Make (Indian) Category: This is the first contract concluded under the Buy and Make (Indian) Category, in line with the Government’s ‘Make in India’ initiative. Nova Integrated Systems Ltd, a fully owned subsidiary of Tata Advanced System Ltd, would indigenously manufacture these state-of-the-art radars in collaboration with Terma, Denmark. This contract marks the entry of Indian Private Industry in production of hi-tech sensors for the Indian Navy. Procurement of SSR is a part of Indian Navy’s Plan for modernisation of its Fleets, and these radars would also be installed onboard the ships under construction. The government’s drive to modernise the Armed Forces and build an Indian Defence Industrial Base with participation of Private Industry gets a major boost with the signing of this contract on 18.02.2017. Aadhaar card to be mandatory for students availing benefits under "Central Scholarships scheme"
Union Human Resource Development Ministry has said that to avail benefit under the Central Sector Scholarship Scheme for College and University students, applicants will now have to furnish proof of possession of Aadhaar card or undergo Aadhaar authentication. HRD ministry notification issued in New Delhi on 17.02.2017, said those who are receiving these scholarships but don't have an Aadhar card will have to apply for enrolment by June 30th.It is, however, not applicable in Jammu and Kashmir. India is one of the main players in the pharmaceutical industry worldwide. India, as a large vaccine producing country, is currently supplying several vaccines to the UN agencies (UNICEF, WHO and PAHO). The result reflects the growing maturity of the NRAI emanating from a concerted effort by the Government in consultation with WHO to build capacity and capability of the National Regulatory Authority over last several years. Melody Queen Lata Mangeshkar has been honoured with the 'Legendary Award ' 2017 by Brand Laureate. The Brand Laureate Awards recognise world-class achievement in branding amongst individuals and companies. Lata expressed her heartfelt thanks to the Brand Laureate on twitter for honouring her. In 2012, actor Shah Rukh Khan was honoured with the Brand Laureate Legendary Award for his unmatched contribution to Indian Cinema. The Brand Laureate Legendary Award has been earlier given to the likes of former South African president Nelson Mandela, Nobel Laureate Mohammad Yunus, Indian businessman Ratan Tata, late Apple co-founder Steve Jobs, Facebook CEO Marck Zuckerburg and F1 ace Michael Schumacher. Vikas Swarup appointed as "India’s High Commissioner to Canada"
Vikas Swarup was appointed as India’s High Commissioner to Canada. Vikas Swarup replaces Syed Akabarudddin who was shifted to United Nations as Permanent representative of India. Currently, Vikas Swarup is working as the spokesperson of Union Ministry of External Affairs (MEA). In his diplomatic career, he had served India’s several embassies including US and Turkey. Vikas Swarup has authored few books and is best known for his novel ‘Q & A’ which has been adopted into a movie ‘Slumdog Millionaire’. Edappadi K Palaniswamy was sworn in as "13th chief minister of Tamil Nadu"
Edappadi K Palaniswamy was sworn in as the 13th chief minister of Tamil Nadu. He was administered oath of office and secrecy in a simple ceremony held at the Durbar Hall of Raj Bhavan in Chennai, state capital. Along with Palaniswamy, 30 other ministers also took oath, with the total strength of the cabinet at 31. Now Palaniswamy will seek vote of confidence on the floor of the state Assembly. Edappadi K Palaniswamy: K Palaniswamy is a senior leader of the All India Anna Dravida Munnetra Kazhagam (AIADMK). At present, he incumbent Member of the Legislative Assembly (MLA) from Edapadi constituency in the Salem district in Tamil Nadu. Previously, he had served as Minister for Highways and Minor Ports in then Jayalalithaa and O. Panneerselvam-led Government of Tamil Nadu. He was elected as the leader of AIADMK Legislature Party after incumbent V. K. Sasikala was convicted by the Supreme Court in the 20-year old disproportionate assets case. Palaniswami has won the assembly election to the state assembly four times, in 1989, 1991, 2011 and 2016 from the Edapadi constituency. The Ministry of Mines has launched Transparency, Auction Monitoring and Resource Augmentation (TAMRA) Portal and Mobile Application to ensure transparent award of statutory Clearances for mining operations. The Union Cabinet chaired by Prime Minister Narendra Modi has approved establishment of Food Legumes Research Platform (FLRP) at Amlaha in Sehore, Madhya Pradesh with Satellite Hubs in West Bengal and Rajasthan. Cabinet approval confers FLRP an international status as contemplated in Clause 3 of the United Nations (Privileges and Immunities) Act, 1947. It authorizes the Department of Agricultural Research (DARE) on behalf of Union Government in all matters regarding establishment of the Platform. President appoints five new SC judges President Pranab Mukherjee has appointed five new judges to the Supreme Court as per Article 124 of the constitution. The new judges are Sanjay Kishan Kaul, Shantanagoudar Mohan Mallikarjunagouda, Navin Sinha, Deepak Gupta and S. Abdul Nazeer. The appointments come at a time when the judicial strength of apex court had dipped to 23 from sanctioned 31, an all-time low in recent years. India was ranked 143rd out of 186 economies in the annual Index of Economic Freedom 2017 that measures the degree of economic freedom in the countries of the world. The index was released by top US based Think Tank, The Heritage Foundation. In this edition, India’s overall score was 52.6 points, 3.6 points less than scored in 2016 when it was ranked 123rd. Surendra Verma selected for "2016 Vyas Samman award"
Hindi Scholar, litterateur and playwright Surendra Verma (75) was selected for the prestigious Vyas Samman 2016. He was chosen for this award for his novel Kaatna Shami Ka Vriksha : Padma Pankhuri Ki Dhar Se, published in 2010. Surendra Verma: Surendra Verma Born on September 7, 1941 in Jhansi, Uttar Pradesh He had started his career as a teacher and later writing stories. His first play was Surya ki antim kiran sesurya kipahli kiran tak (From the Sun’s Last Ray to the Sun’s First Ray`). It has been translated in six different languages So far he has published fifteen titles of short stories, novels, satires and play. Some of them Mujhe Chand Chahiyae, Surya Ki Antim Kiran Se Surya Ki Pahli Kiran Tak, Athwan Sarg and Qaid-e-Hayat etc. Awards and Honours: He has won the Sangeet Natak Akademi Award (1993) and Sahitya Akademi Award (1996). West Bengal Declared new district "Kalimpong"
Kalimpong declared new district of West Bengal West Bengal Government has declared Kalimpong as the new district of the state. It will be 21st district of the state and is separated from Darjeeling. It spreads over 1,056 square kms and will be Bengal’s least populated district with a population under 50,000. Kalimpong was once a breeding ground for Gorkhaland statehood agitation. Union Cabinet Approves Bill to amend "Collection of Statistics Act, 2008"
The Union Cabinet chaired by the Prime Minister Narendra Modi has approved introduction of Bill in Parliament to extend the jurisdiction of the Collection of Statistics Act, 2008 to Jammu & Kashmir. The Amendment will be pertained to statistics under Union (List-I) and Concurrent lists (List- III) in the Seventh Schedule to the Constitution and Constitution (Application to Jammu & Kashmir) Order, 1954. India and UN Joined Network for "Improving Quality of Care for Maternal, Newborn and Child Health"
Scientists have developed novel rubber like material nicknamed ‘thubber’ which has high thermal conductivity and elasticity. It is an electrically insulating composite material that exhibits an unprecedented combination of metal-like thermal conductivity, elasticity similar to soft, biological tissue. hubber consists of a soft elastomer with non-toxic, liquid metal microdroplets suspended within it. This semi-liquid state allows the metal to deform with the surrounding rubber at room temperature. The award was founded in 1947 by the British Film Academy. In 1958, the academy merged with The Guild of Television Producers and Directors to form The Society of Film and Television and later BAFTA in 1976. 70th British Academy of Film and Television Arts (BAFTA) Awards ceremony was held at the Royal Albert Hall in London. This year the BAFTA awards were conferred for the outstanding performances in films and documentaries screened at British Cinemas in 2016. La La Land won the most awards at the event, winning five and was also most nominated in 11 categories. Grammy Awards are the recording industry’s most prestigious award presented annually by National Academy of Recording Arts and Sciences (NARAS) of the United States. The 59th Annual Grammy Awards were announced by the Recording Academy announced at the Staples Center in Los Angeles, California. The ceremony recognized the best recordings, compositions, and artists of the eligibility year from October 1, 2015 to September 30, 2016. In this edition of awards, British singer Adele won the most awards in 5 different categories. She also created history by becoming first artist to win the top three categories twice (for first time in 2012). In this edition of awards, British singer Adele won the most awards in 5 different categories. She also created history by becoming first artist to win the top three categories twice (for first time in 2012). Best R&B performance: Solange – Cranes In the Sky. Best rap performance: Chance The Rapper featuring Lil Wayne & 2 Chainz – No Problem. Best rap/sung performance: Drake – Hotline Bling.